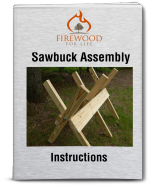 Firewood Conveyor - Should You Buy One? A firewood conveyor can be an effective way to load or stockpile your split firewood, but does everyone need one? If you own a firewood business or you're looking to start one up, a conveyor is probably a good investment. 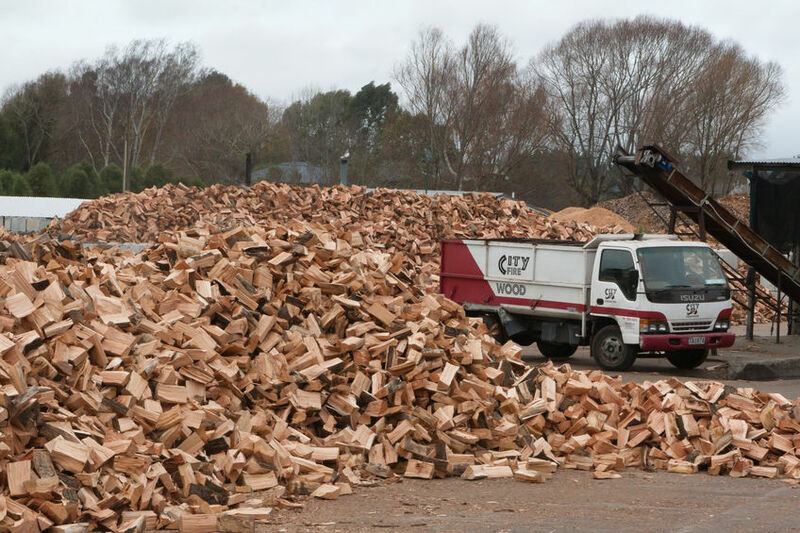 After all, a profitable firewood business requires moving large quantities of firewood quickly and easily. But what about the average homeowner or someone who only uses a little bit of firewood every year? The cost of the machine probably isn't worth it. I'm a fan of any tool that makes moving firewood easier, but a professionally built conveyor can cost thousands of dollars. To help offset the cost and reap the benefits of the conveyor system many people choose to create their own conveyor by altering old farm machinery. Overall the machines are pretty simple. A conveyor belt or steel track moves along the device transporting your split firewood. The machines typically use a small engine to power a hydraulic pump or chain and sprocket which operates the conveyer belt. The small engines don't require a lot of gas and can usually run for several hours on a single gallon. The conveyor assembly is adjustable and uses hydraulic cylinders to raise or lower the height of the track. Optional hand cranks can also be installed on the machine to replace the hydraulic cylinders. The hand cranks require a little more work but they can reduce the total cost of the machine. The adjustable height allows you to lower the conveyer to quickly fill a truck or trailer. 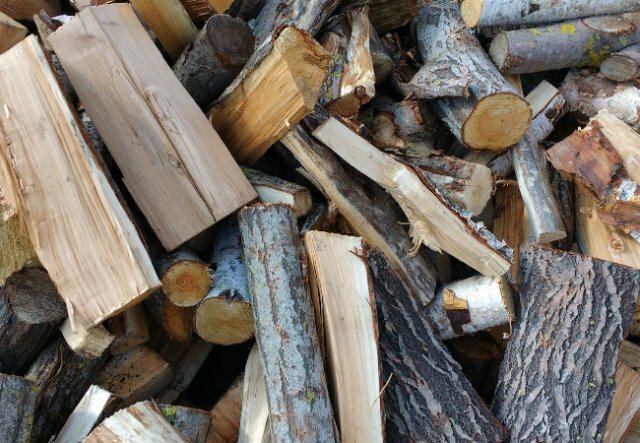 You can also choose to raise it up to create large piles of split firewood. The conveyors are typically used in conjunction with a firewood processor. After the firewood processor cuts and splits the wood, the split pieces fall onto the conveyor which carries them away. If you're thinking about starting a firewood business, a firewood conveyor can really increase the amount of firewood you move. A profitable business is all about numbers. The more firewood you can move, the more profit you can make. Other than the initial startup cost, a firewood conveyor can be cumbersome to move. The machines are large, typically around 20 or 28 feet in length. Moving the machine takes time. Many owners complain about the effort required to move the machine to a new location. To create a useful conveyor at an affordable cost, many people choose to alter existing farm machinery to create their own. Old hay elevators or gravel conveyors can be found almost anywhere. With a little modification you can alter the hay elevator to handle firewood. One of the best places to look for used hay elevator is at an agricultural or farm equipment auction. With a little searching and some luck you can usually pick one up at a decent price. If your lucky enough to have a conveyor you probably couldn't live without it. They're easy to operate and definitely make moving large quantities of split firewood a lot easier. Should you buy one? That depends on your specific needs. The average person probably can't justify the initial cost, but if your thinking about starting a business a conveyor can be a great investment.